Who is this small boy? And when was this picture taken? No way! It's Dickie outside Hughie and Nellies - his granny & grandads - or next door where Geordie Bear lived. 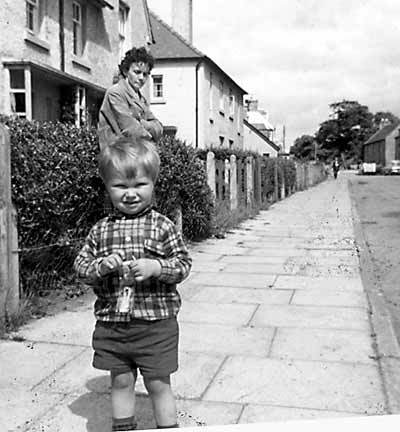 I can tell you it's Robin Ledgie's wife Rita standing behind. Yes, I think so too. Still the same awkward man!